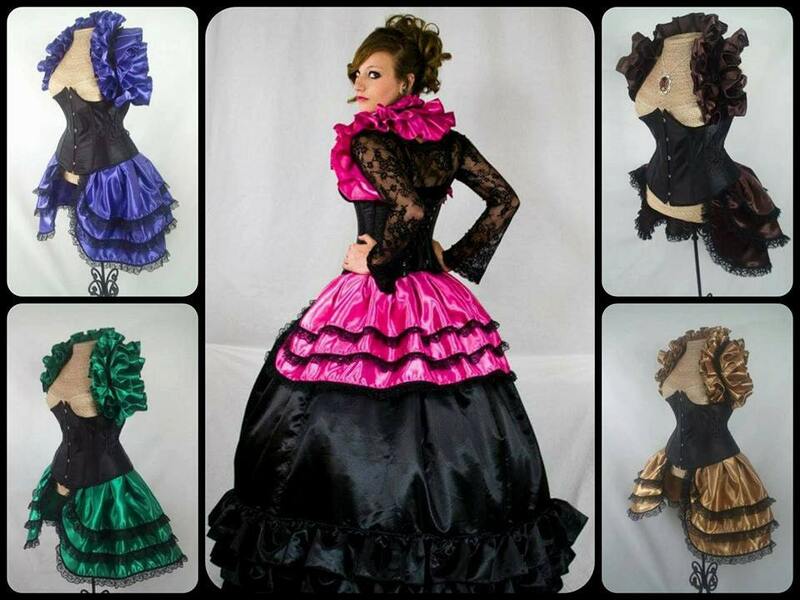 Strike a pose and show off in this decadent opera shrug and bustle set. Made from luxurious bridal satin in Your Choice of color, the bustle is adorned with black lace on the hem of each layer and with black Lace in the center of the shrug itself. Both pieces are made to order. The shrug is one size fits most, the bustle made to fit. Please leave your waist size, and desired open spacing in the front in inches in the order notes when you place your order. Any questions regarding sizing? Contact us! 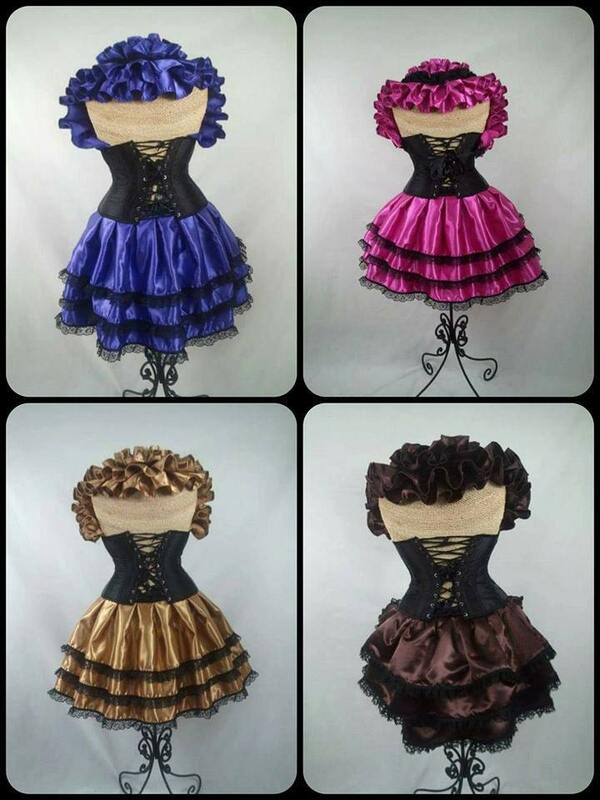 Great for steampunk, burlesque, gothic, saloon girl, vogue, and showgirl outfits! This item is ready to ship in 1 week. 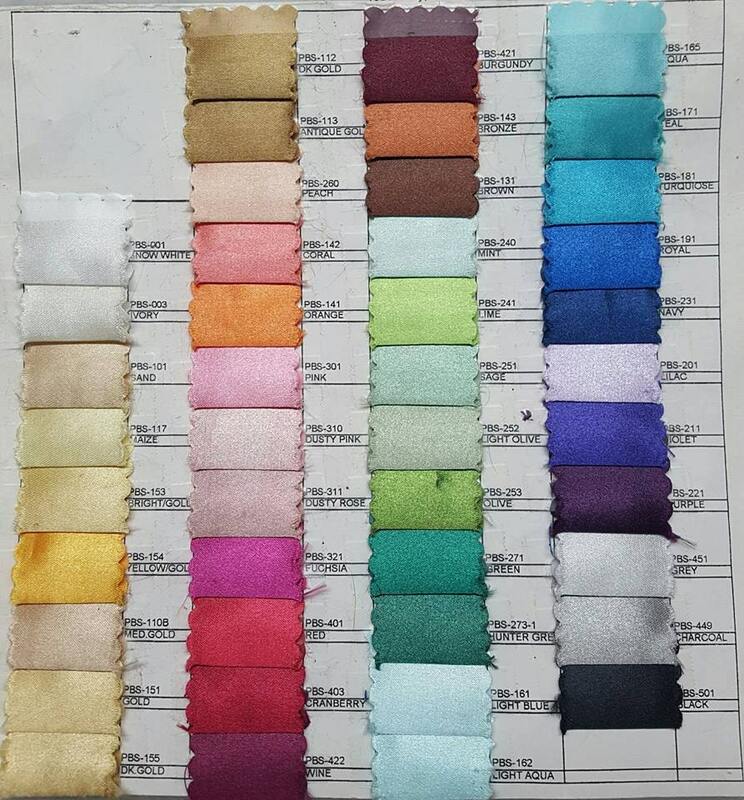 Orders within the USA take approximately 7 business days to arrive. Orders outside the USA take approximately 25 business days or less, but may take longer to arrive depending on the postal service in your country.